Despite pulling out of this year’s UTMB race around two thirds of the way through (at Champex, 124km out of c.170km), I have not felt any post-race mental negativity. I was forced to pull out due to breathing difficulties (later diagnosed as a chest infection) which quickly developed from around the half way point and eventually got so bad that I was concerned about passing out due to lack of oxygen and doing myself some real damage. So why am I not disappointed about a DNF – only the third of my running career – which probably involves around 150 races? Well, it was a factor completely out of my control. I had a bad cold a couple of weeks before the race, it lingered for quite a while, but was 95% clear by race day. It wasn’t even on the radar as a concern and from experience, it wouldn’t have impacted my performance in 9 out of 10 races. But lest we forget – UTMB is different…..
Up to the point at which I pulled out I had run a smart and solid race, moving through the field steadily in my usual style, and I was up to 12th place. I can tell you now, I would have completely different feelings about the race if my legs had gone or I had blown up; I would have been in down in the doldrums then. But I didn’t blow up; my legs felt great, or at least as good as they could do given the 16 odd hours of mountain running I had completed. So, a quick summary of the race. After the events of 2010 most of the focus before the race was on the weather and, low and behold, it kicked off again. In 2010 the 6.30pm Friday night race start coincided almost perfectly with the passing of a significant weather front. Unbelievably, exactly the same thing happened again this year, but this time the organisers were well prepared. It was abundantly clear that the organisers had learnt their lessons and done their homework. There were two clear differences: (1) all ‘trailers’ were required to carry a more comprehensive set of clothing and equipment, designed to ensure the race could proceed in much more arduous conditions than before with the runners still being ‘safe’, and (2) from what I gathered from Race Director, Catherine Poletti, there were over ten course ‘variantes’ which could be employed should any given section of the route be blocked or be unsafe to pass. All good stuff I feel. The several thousand runners converging on Chamonix during build up to race weekend enjoyed clear, sunny and hot weather but as race day(s) arrived that rapidly gave way to wind and rain as a hefty weather front moved across. The decision was made mid-morning on race day (Friday) to postpone the start of the race by five hours. That would allow the worst of the front to move across before the runners tackled the first main pass of the race, Col du Bonhomme, which would be around 3 hours in. It was a shrewd decision and the weather forecasting was absolutely spot on. 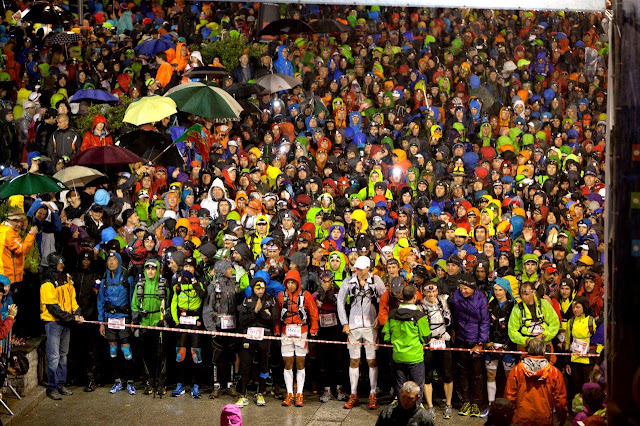 Gathering in the rain at the race start area in Chamonix, the sense of déjà vu I was already feeling, grew considerably stronger. I took strength from the fact that as a British runner I would be better prepared for the adverse weather conditions than most – particularly after spending most of the summer training in wet and windy weather which seemed to follow me wherever I went. Maybe it was just me, but the traditionally emotional build-up at the start of the race seemed to be slightly more muted this year, perhaps due to the strong sense of the runners just wanting to get going after waiting around all day and evening. But eventually, we did. 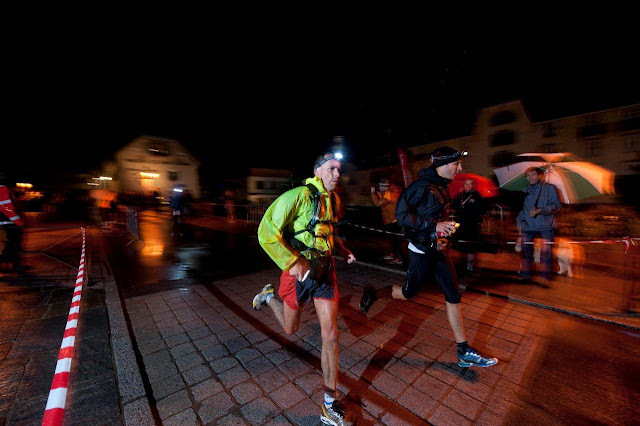 The traditional stampede out of Chamonix was stronger than ever, many runners charging out at sub 6 min/ mile pace, at the start of a 100+ mile race. Nuts. I went out pretty quickly too, but it was conservative in comparison, settling in at around 30th place along the wide trail through the woods paralleling the river, down valley to Les Houches. There is always a huge sense of relief in actually getting going in these big races – runners aren’t very good at sitting around tapering and resting before a race – but the sense of relief seems to be on another level with UTMB, probably due to it’s scale and the massive build-up which always comes with it. As one of the The North Face guys said to Lizzy and I as we were walking to start “it’s ok, you can just run now!”. That just about summed it up. Despite it being the early hours, dark, windy, raining and generally uninviting for running in the mountains, 2,300 trail runners, all with a relentless enthusiasm and passion for pushing themselves to the limits in some of the most beautiful mountain scenery in the world, were now loose and doing their thing! Despite the race now being underway, what I was really looking forward to was running solo so I could have some real space to settle in. I’m not really interested in running in groups with the leaders or whoever else. I want to run my own race and at my own pace, rather than feeling dictated to by running as part of a group. That’s what works best for me and suits my style. Thankfully, being at the front end, the groups had thinned nicely by the start of the first climb up Col du Voza and, whilst the first one is always a bit of a shock to the system, I felt great. I reached Delevret (14km), the top of the first climb of c.750m (all vertical ascent/ descent figures) in 29th, and then descended the 1,100m steadily to reach Saint Gervais (21km) in 24th. Despite picking off a handful of places I didn’t accelerate or push at all, I just maintained the same pace and rhythm. Saint Gervais is usually a hive of noise and entertainment on race night, but this year it was sadly a lot quieter, a symptom of the delayed start time. 1.30am inevitably isn’t half as attractive as 8.30pm for getting supporters out. Most were probably doing the sensible thing and saving themselves for the daytime on Saturday. The rain was still falling heavily but my body temperature was spot on wearing the Capri tights, a vest, arm warmers, the Triumph anorak and Scully beanie – all by The North Face. I started the valley bottom section from Saint Gervais to Les Contamines running with Nick Clarke and Stuart Mills, but again I wanted some space so we were leap frogging each other before Nick pulled away and Stuart dropped back. The rain started to ease so I planned a clothing change at Les Contamines, as well as a decent replen on my food supplies as it would be the last time I would see my crew until Cormayeur some 47km later. I arrived in Les Contamines (31km) in good spirits and just a few minutes behind my planned schedule. I took a pit stop of a couple of minutes, changing into a base layer with vest over, stashing the jacket and grabbing some bars and gels. And off again….. The feeling on leaving Les Contamines, or perhaps more so Notre Dame de la Gorge slightly up valley where there is always a warm welcome from a good crowd, is of solitude, warming adrenaline and apprehension. I find it’s the same each year at this stage. This is where the mountain wilderness really starts and I truly love it. I like being able to forget the race for a while, run in my own little bubble formed from a headtorch, and enjoy the environment. After being battered by the wind and rain, all of a sudden there was a serenity to the mountains and the stars began to come out. I made the climb up to Croix du Bonhomme (45km, 1,300m climb) with relative ease, reaching the top in 19th place – moving up the field well. Above about 2,200 metres there was a decent dusting of snow making the footing slightly tricky but the beauty of the white carpet far outweighed that negative. The descent into Les Chapieux is never one of my favourites and again I made hard work of it, losing a couple of places coming down. It also seemed unnecessarily protracted towards the bottom and I suspected some runners may not have followed each and every switchback in the lower section which at the time I found frustrating. However I suspect I wasn’t being completely rational due to tiredness. Aside from the kit check which I was pleased to see in place, I didn’t hang around at Les Chapieux (50km), other than to re-fill bottles. I guess I was slightly annoyed to have lost a couple of places so I vowed to push on during the road section climbing to the base of Col de la Seigne. I suspect I’m not the only one to strongly dislike this road climb which seems too steep and damaging to run, but too easy to walk. I ran it, and picked off a couple of guys in doing so. In fact, it seemed to give me a nice bit of momentum leading into the crux of the climb where I took another place. The enjoyment came flooding back, particularly as the light in the sky started to arrive and I was able to switch off my headtorch to get a true sense of the surroundings. Fellow runners in front and behind hadn’t done so which helped me determine their whereabouts. Slightly less technical and better formed, I enjoyed descending the fast trail to the stunning valley where Lac Combal (65km) is situated, lured on by the thought of some decent sustenance. Noodle soup, pieces of energy bar and chocolate did the trick and refuelled the tanks nicely ready for the final climb before Cormayeur, up to Arret Mont Favre. At this point I had caught up with Japanese runner and fellow TNF team mate, Tsuyoshi Kaburaki, a runner of very similar ability to me from the several races we have both run before. It gave me confidence to be running with Kaburaki, knowing my pacing was pretty much spot on, and I hoped we could spur each other on to continue to move through the field together. We leap frogged each other a couple of times on the climb, then both picked off Scott Jurek who seemed to be having a rough time of it. The vistas from the top of Arete Mont Favre (69km, 2,435m) were the best yet - by this time we were now in direct sunlight to help warm us through properly. The singletrack contouring around to the Cormayeur ski area was smooth and fast flowing. Kaburaki lead the way, I was a couple of hundred metres back. We overtook Vincent Delebarre before arriving at Col Checroit where I looked forward to the chance to say a quick in-passing ‘hello’ to Jacquemot, the legendary owner of this wonderful mountain refuge. Again, no time to hang around, just a short (5km, 750m - it’s all relative with UTMB) descent to the first major checkpoint at Cormayeur, Italy, where I knew my crew would be waiting. I arrived in Cormayeur (78km) in 16th place and in an elapsed time of 9hrs 29mins. If I had written my perfect scenario for this point of the race – that was exactly it. I felt strong, confident, well fuelled and excited. Changing from tights into shorts, removing the base layer and grabbing more food supplies, I had every reason to be optimistic at the start of this wonderful new day. Changing at Cormayeur - ever been filmed getting change before?! The first benefit of the delayed race start manifested itself on the cobbled high street in Cormayeur. A compere introduced me and plenty of passers by shouted encouragement. 9am this time, compared to 4-5am normally, makes a big difference to numbers! I ran the road climb up to the base of the next major climb, a nice 800m vertical slog up to Refuge Bertone (82km). I was strong on the climb, hitting the top in just over an hour from Cormayeur – pretty good going. I hadn’t had sight of any other runners for a while now, however as I continued on along the contouring trail heading up the side of the stunning Val Ferret, I just caught the odd glimpse now and again of Kaburaki doing battle with another runner ahead. Kaburaki seemed to be pushing it fairly hard however the buffer between us remained the same and we both gained a couple of places as I moved up to 13th by Arnuva (95km). It was on leaving Arnuva and starting first section of the climb up to the Grand Col Ferret that I first started to experience breathing difficulties. I struggled to clear my chest and found myself working much harder than I should have been for a fast-walk ascent. I didn’t think too much of it initially, but after making the pass (2,537m, 99km) into Switzerland and beginning the descent, I really knew something was amiss. Even running downhill became a huge effort. Not my leg speed or strength, simply my body’s ability to get enough oxygen in to maintain the pace. I stuck at it, not really knowing what was going on, and made it down the big descent into la Fouly (110km) without losing any places, but it was becoming apparent the effort required was completely unsustainable. I decided on a section by section approach, my next focus beyond la Fouly being Champex. The majority of that section of trail is downhill, alongside the river, which undoubtedly masked the extent of the problem somewhat, however it soon showed it’s ugly face again on the stiff climb up to Champex, and then came the shocking realisation that it was rapidly getting worse. I arrived in Champex (124km) still in 12th place, but I simply didn’t have the heart to pull out from the race. My legs were still working fine so there was almost a sense of refusal to accept the circumstances - which were so unusual - and like nothing I’ve experienced before. Soldiering on, I left Champex and hit the trail again. It was no good though, I simply couldn’t breathe, and on beginning the descent to Martigny – a variante due to Bovine being impassable – I thankfully stumbled across my crew who were by chance trying to intersect me, and I announced my decision to pull out. 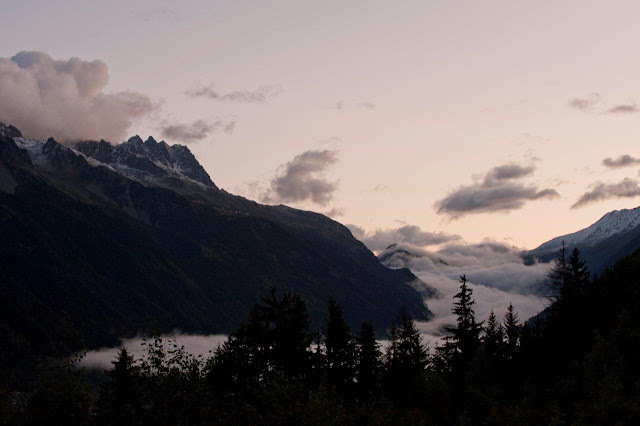 What ensued was like a bad dream - a lift back to Chamonix, a trip to the medical centre, several hours in the hospital. Nightmare. I knew I couldn’t have gone on running safely, or if I had, then I was at risk of doing lasting damage. It’s not like a painful knee or ankle which will patch up or go numb, breathing is a fundamental, a decision which is made for itself. Unfortunately that didn’t make it any easier to come to terms with at the time. I was immediately hit by a sense of shock and emptiness. It didn’t feel real, but it of course it was. 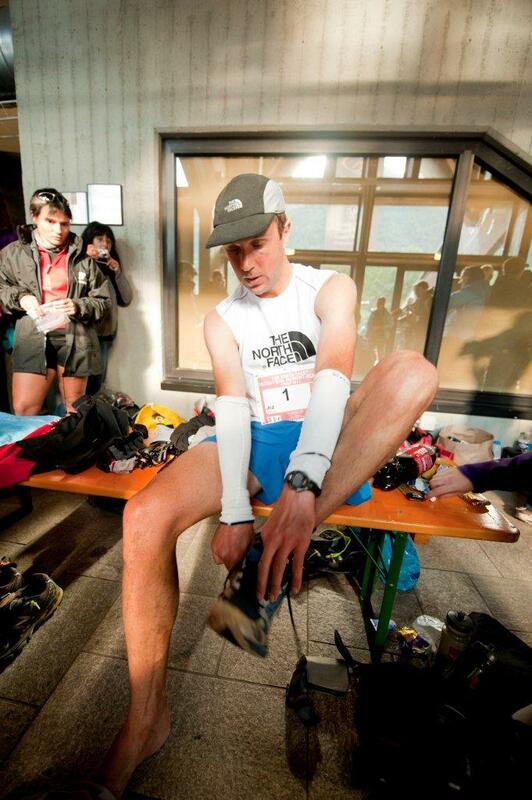 My 2011 race was over and with it so many hard hours of training in the mountains and meticulous preparations. UTMB is a race you live and breathe (great choice of word Jez! ); waking up and the race being your first thought of the day, going to sleep and it being the last. That’s the sort of dedication it takes to be successful but that’s also what makes it hurt more when it doesn’t go right. For me, like many others, the race is the ultimate dream. It is without doubt a ruthless race, one which chews runners up and spits them out, but one which teaches us so much about ourselves, as runners, as people, as lovers of the mountains. I was definitely spat out hard this year, but it is all experience which will make me stronger and wiser for future years. And with that, UTMB winds up for another year. 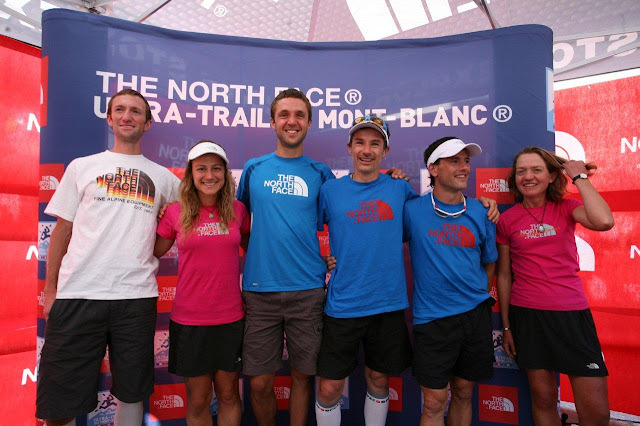 I would like to give special thanks to my support crew, family and friends for all their support at the race which meant a huge amount, and to The North Face team for making it another memorable race week in Chamonix. Conveys a sense of the event well. Educational UTMB is a run too far to contemplate for this occasional arm chair ultra runner. 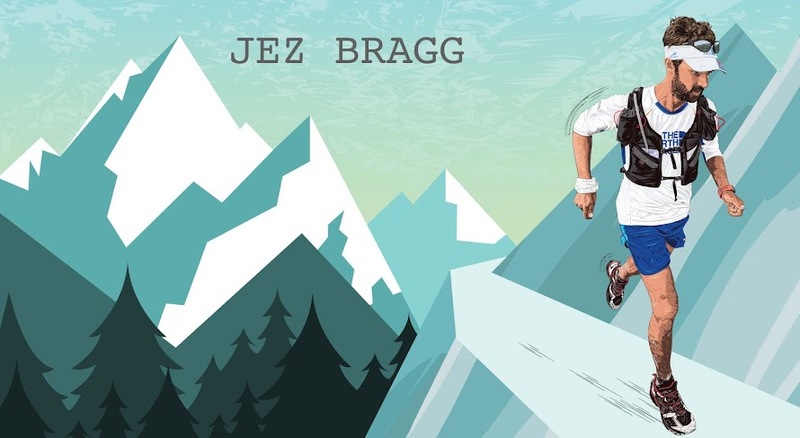 Pity about the race, Jez, but a great read. And nice to know I'm in good company just wanting my own space to 'run solo'... though it's maybe harder to find at my typical race pace! Hard luck on the illness Jez, none of us can do anything about random factors like that. You will have been very satisfied to get as far as you did in the circumstances. Well done on the run, and for writing such an upbeat report. I am the ambassador manager at nuun hydration and I'm trying to find out how to contact Jez! Which I'm managing to hit epic fail on! also meant to add - can someone let Jez know that nuun hydration is trying to contact him? 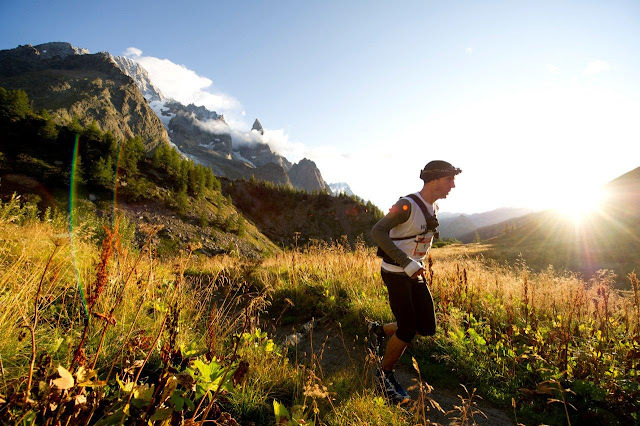 Amazing UTMB report! All the best for your next challenge. Big hug Jez, Fernanda.